A classic metal hook with a female thread. Use these on your light fittings, or anywhere where you need you a hook around the home or office. 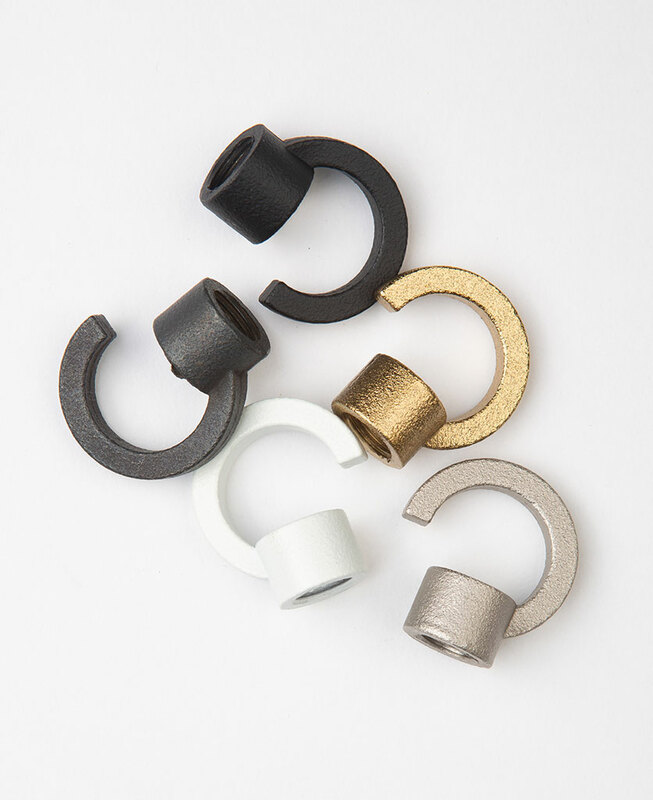 These hooks are sold individually and are available in black, white, antique black, fool’s gold and forgotten silver.